This essay is about being a young Turk. 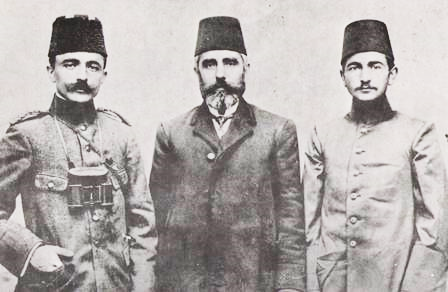 The historic first Young Turks were what were called the Three Pashas: Talaat Pasha, Enver Pasha, and Djemal Pasha. These Young Turks started the Committee of Union and Progress (CUP), which attempted to return the Ottoman Empire to a constitutional government. 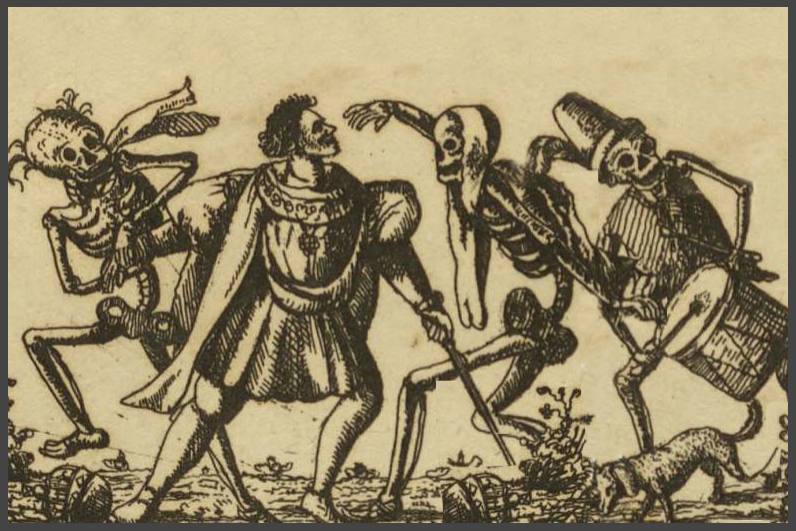 This famous lithograph pictured the celebrating having a constitution. 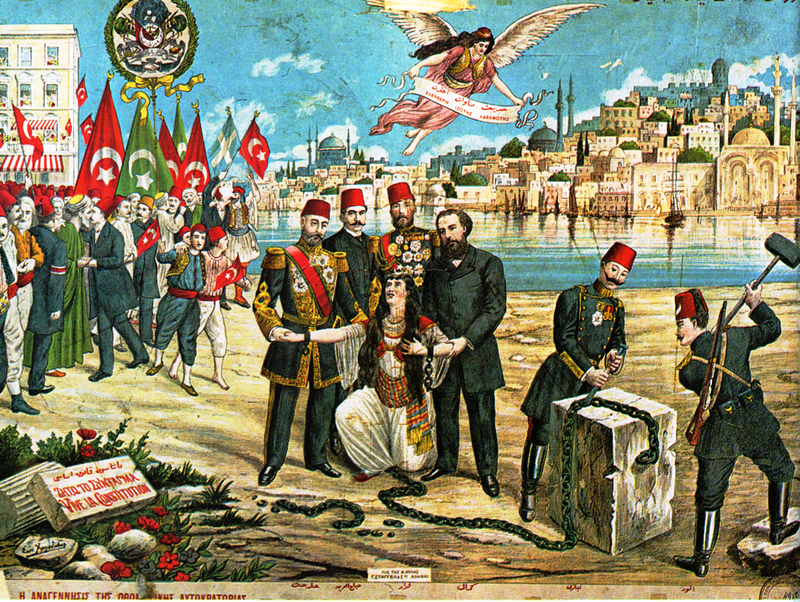 The Ottoman Constitution being celebrated. However, the Young Turks dated back to the early 1900s. 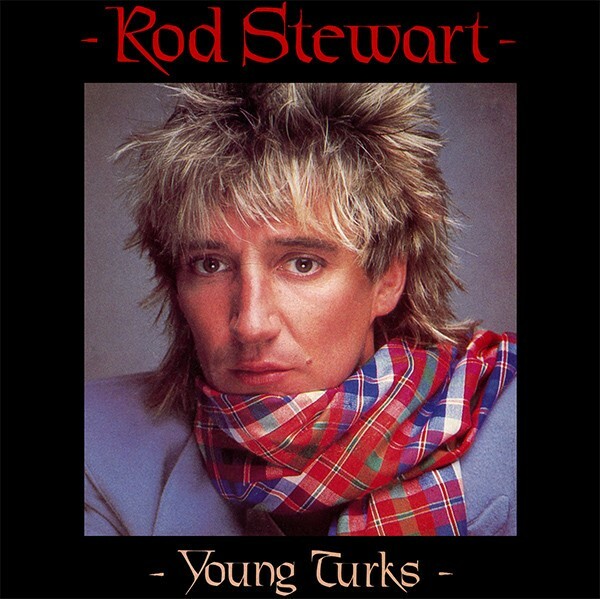 However, in the early 80s, Rod Stewart record a song called Young Turks. This is a video of Rod Stewart’s Young Turks. Interestingly, if you read through the lyrics while watching it, you won’t find the term, Young Turks. The title merely referred to those who are young, rebellious, and questioning existing authority. Drove a pickup like a lunatic, ooh! Patti gave birth to a ten-pound baby boy, yeah! However, under Critical Issues on the Articles’ index page, I have a Critical Issue entitled Rod Stewart. In the introduction to that index page, I mentioned various reasons that explain why I enjoy his music. One of the central reasons is his charity interests. When I get We Are Family in Myanmar incorporated, I’ll be writing to him to return with me to Myanmar (Burma). It is critically important to me to go back to Taunggyi, Myanmar with 1250 laptops and improve the Internet service to the two schools that my three granddaughters attend. I am able to grasp these lines better than most people unless they had done the dance with death. Those dances were transformative for personally me. Now, a majority of people realize that their time on their yellow brick roads of life is finite. Nevertheless, if you dance once or twice, you are able to truly comprehend that your clock is ticking. It isn’t an abstract truth; it is a certain reality, which empowers you to come alive. While that sounds like an oxymoron, nonetheless, it is true. I see my life radically differently than before the dances, and it is a positive experience. During the flight to returning to Myanmar, I plan to have a group of contributors to We Are Family with me. In addition, Dr. Marchand, my cardiologist, who told me I had seen the light after my first trip will be with me. When I returned from my second visit to Myanmar, he said that he was interested in returning with me. Additionally, I’m going to invite Rod Stewart to come back with me also and have him do at least two concerts; one in Yangon and another in Taunggyi. While spending twenty-two hours in the air, it will give me time to have Rod Stewart explain fully these few lines. What was behind those words. Life is like a fistful of sand, which slips away all too quickly. While that seems like a depressing acknowledgement, it is just the opposite. My two dances have empowered me to truly live. I realize that I have a limited amount of time, and I won’t waste it. 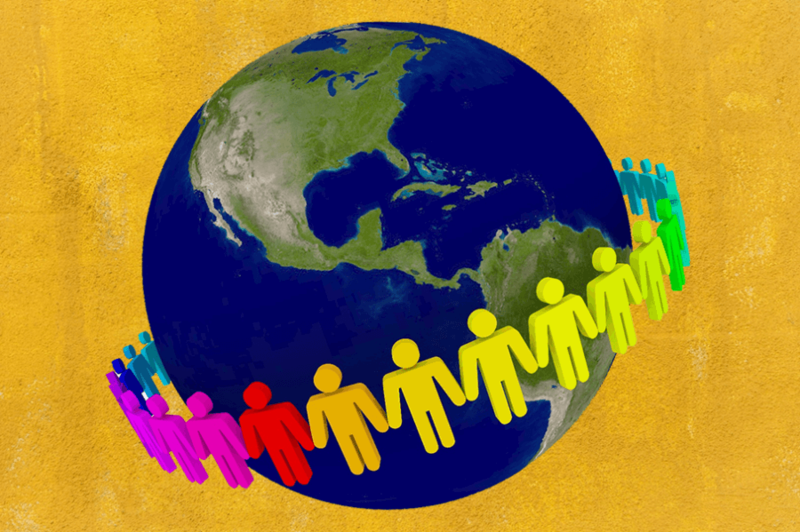 Now, whether or not you have done the dance, think about what you can do to make this world a better place than how you found it. Think about joining my trip to Myanmar. However, whatever you consider doing, act now. Begin doing something positive that is beyond accumulating things for yourself. 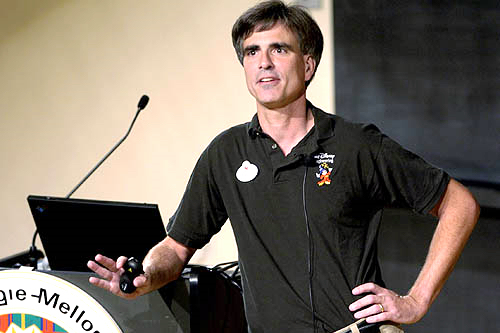 Finally, John McCain, who surely was a young Turk throughout his life said, “Nothing in life is more liberating than to fight for a cause larger than yourself, something that encompasses you but is not defined by your existence alone.” Trust me; McCain understood how to be involved in life, and it is liberating. Find a purpose for being that is beyond yourself. Visit the "Rod Stewart" page to read more about this topic.